ARC Acupuncture provides personalized treatment programs tailored to treat your unique pain issue so that you can enjoy increased mobility and quality of life. Denise Roeder, a determined 54-year-old woman, was suffering from what was diagnosed as post-surgical neuropathy. Denise had surgery in February of 2002 and experienced what was presumed to be nerve end damage, causing excruciating pain from her spine around to the front of her torso. The pain was so severe that she could not wear form-fitting clothes. Denise was put on a strong pain medication for three and a half years. She had two intercostal nerve blocks and one sympathetic nerve block, but neither succeeded. She also tried multiple medications to alleviate the pain. Because of the medication and the pain, Denise was unable to drive or work. She had become completely dependent on family members to do everything for her, including shopping, cooking and laundry. Denise was told by her doctors that was the lifestyle she could expect. Completely off the medication and able to resume her daily activities. Denise found a neurologist who was willing to try to lower her debilitating medication dosage and explore alternative methods for pain management, and recommended acupuncture. After her first visit, she was hopeful for the first time in three and a half years. She was a little surprised at the proactive methods that the therapists and acupuncturists used in an effort to eliminate her pain. Denise thought she was just going to get stuck with a few needles and go home. Denise received acupuncture, acupressure, cupping, acupuncture with stimulation, massage therapy and physical therapy. After only two months of treatment, she was able to come completely off the medication and resume her daily activities, and is planning to find employment. Denise said the biggest difference is the fact that she "... finally has the desire to get going and be active again." Denise was very impressed with the staff at ARC. She felt as though the therapists were trustworthy and knowledgeable, and is grateful for the success they were able to achieve. 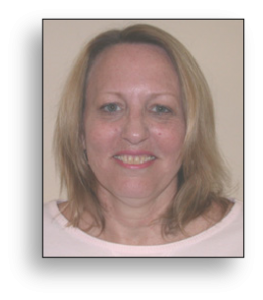 Denise has recommended ARC Physical Therapy and Pain Center to anyone she encounters with chronic pain.